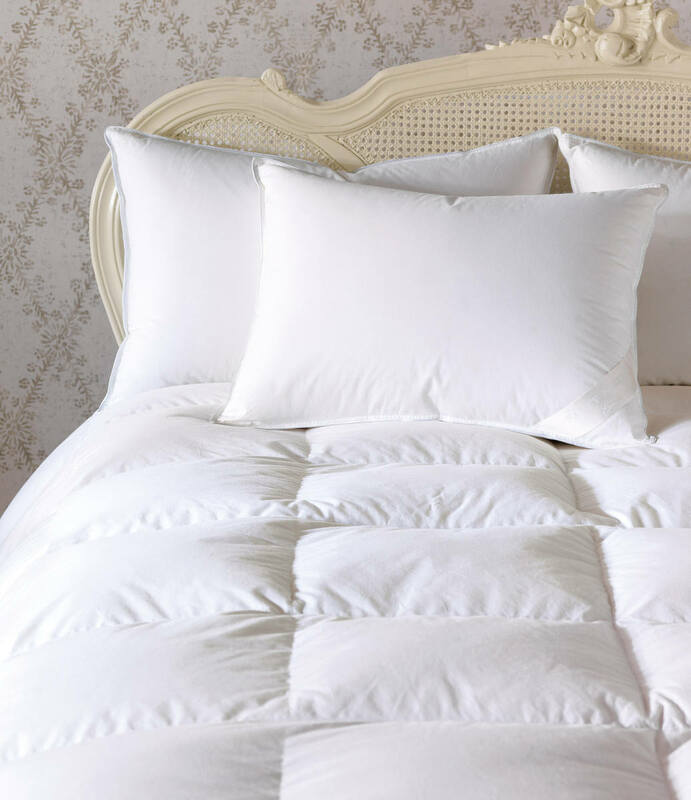 Wrap yourself in the wondrous warmth of our Genoa comforter. 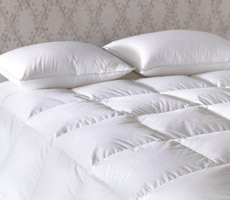 Crafted to mimic the resilience and comfort of down, each comforter is filled with the finest microfiber. Genoa's silky fibers are encased in a luxuriously lightweight HEFEL Finebatiste® ticking to ensure warmth without added weight. Complete your bed with one of three available warmth levels: light, medium, and ultra. 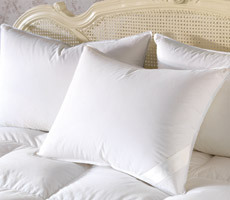 Discover a peaceful night's rest with the Genoa sleep pillow. Available in three support levels, each sleep pillow is filled with the finest premium microfiber and encased in a luxuriously lightweight HEFEL Finebatiste® ticking. Crafted to mimic the resilience and comfort of down, these luxe sleep pillows will astound you with their ability to fool even the most discerning audience.